Once, long ago, there was a young boy who lived in a distant land. He was a cheerful little boy with not a care in the world. 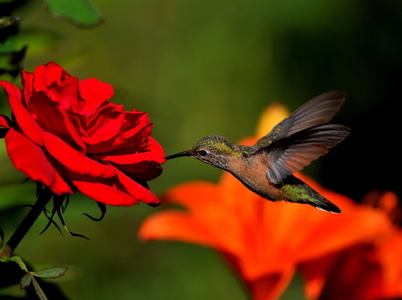 A special friend had he, the gentle hummingbird. so the bird and the little boy were inseparable. and liked to sing with him and talk with him often. The bird loved the boy and would watch over him wherever he would go. Every day they played together as the best of friends. so he saw the day the lad came to know a pretty girl. The girl was perfect with long blonde hair, blue eyes, and the most beautiful smile. Then came the special end of year concert - the best celebration of the year. at the most important party. went to the girl and asked if he could go with her. but she didn't know for sure if he was most genuine in his affections. and so she figured out a way to find out. he would come with her to the celebration. in fact the only roses in the land were black. why couldn't she have asked for a black rose. There were hundreds of them in his garden and in gardens everywhere. that he could tell instantly the lad was troubled. The bird hovered closer as the lad mumbled all the way home. the answer was clear how the bird could help his dear friend. with a stem bearing thorns directly above it. it began to turn blood red. and he could hardly believe it. He ran joyfully to the bush and plucked the red rose. lying below the bush in a puddle of blood. Happy as could be, he ran with his red rose all the way to school. and asked him to come and join them. His first thought was, no, he had something more important to do. But they begged him and said they really needed him to even the teams. 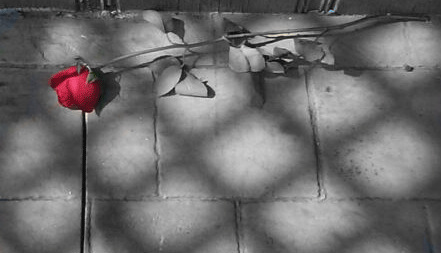 He looked at the rose, then at the game, then back at the rose. the boy ran off to play. 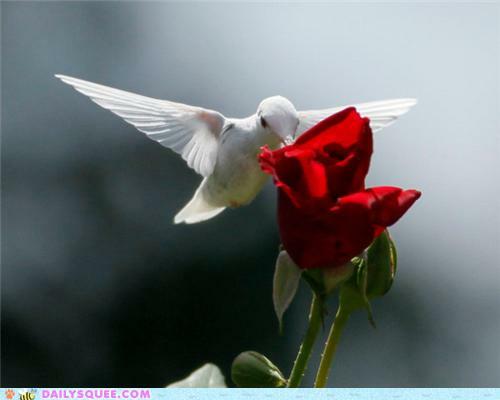 The humming bird as The Lord Jesus. The boy as each of us. The girl as eternal life. 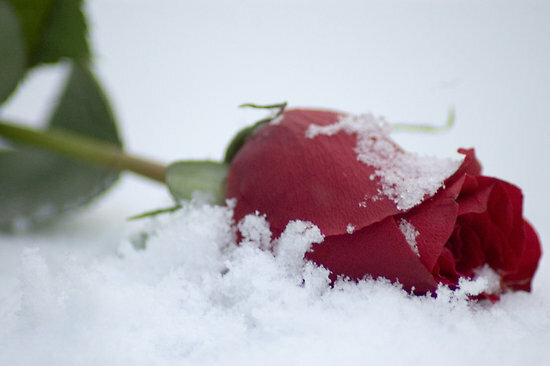 The red rose - our sin that Jesus covered with His blood/death. The football game - the world that can seem more important. what an awesome purpose He had in mind. You were on His heart. when He returned to His Father, He was preparing a place for you. to guide, to feed, to protect, to shelter, and to carry. You are the one He calls His own.